Latifa has aspiration for spiritual growth has inspired her to deepen in the yogic and tantric teachings. The need of Self-understanding and healing brought her to have her first approach to spirituality and non-dual teachings from a group of essenian mexican healers from Cuernavaca. With the essenians Latifa discovered her passion for natural healing, the mysteries of the soul, energies and self-awareness. This was her invitation to Yoga. 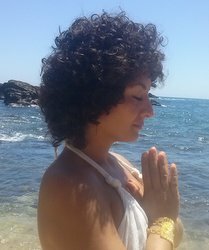 Latifa has been practicing yoga since 2008 and teaching since 2011. She loves all styles of yoga and teaches Agama, Anusara, Tantra and Hridaya. She feels eternal gratitude to walk the path of yoga everyday, an amazing, loving, coherent path, a path towards Truth, a path to God. “Sahajananda’s teachings have influenced my Spiritual Life in a very strong way. I feel that I have a solid and clear base, a certainty that will be with me the rest of my life. 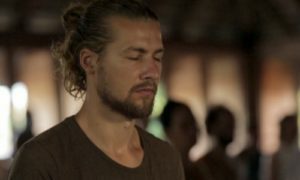 The foundation of Love and Oneness, living with an Open Heart and sharing this wisdom for the benefit of all, were my invitation to deepen in meditation and to continue with the teachings of yoga and the mysteries of Life”.